Ep7 still has a lot of Lauras pokies, and a lot of getting humped from different guys. Ep8, zero Laura pokies, a hump scene. And a whole year of waiting for S2. They should be seriously considering a Sandman series by now. And while I wait, I will look for my Queen. Season 1 US Blu-ray release is scheduled for October 17, 2017. 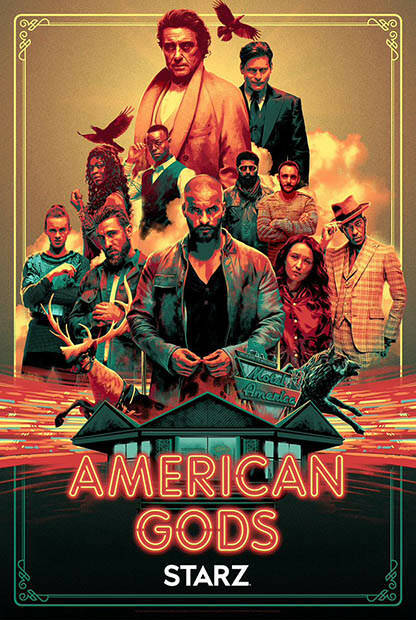 Fuller and Green created the adaptation of Neil Gaiman’s 2001 award-winning novel and served as executive producers/showrunners on the show, which debuted this past spring and earned a quick Season 2 renewal. We hear more than half of the scripts for Season 2, which had been targeting a mid-2018 premiere, have been written. Gaiman may come on board as a co-showrunner but that is in flux as he also has series Good Omens for Amazon. Jesse Alexander, who worked with Bryan Fuller on shows including Hannibal and Star Trek: Discovery, will take over showrunning duties alongside novel scribe Neil Gaiman. Season 2 has begun production. The plan is for 8 one-hour episodes for a 2019 airing. 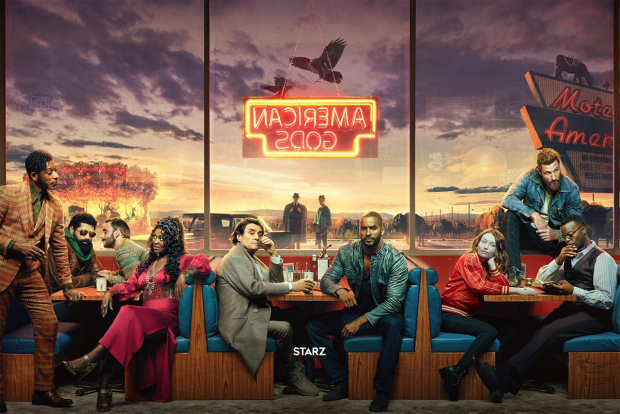 While the sophomore season of the Starz adaptation of American Gods might have lost two stars and original showrunners, it has just added three new cast members for key guest and recurring roles. 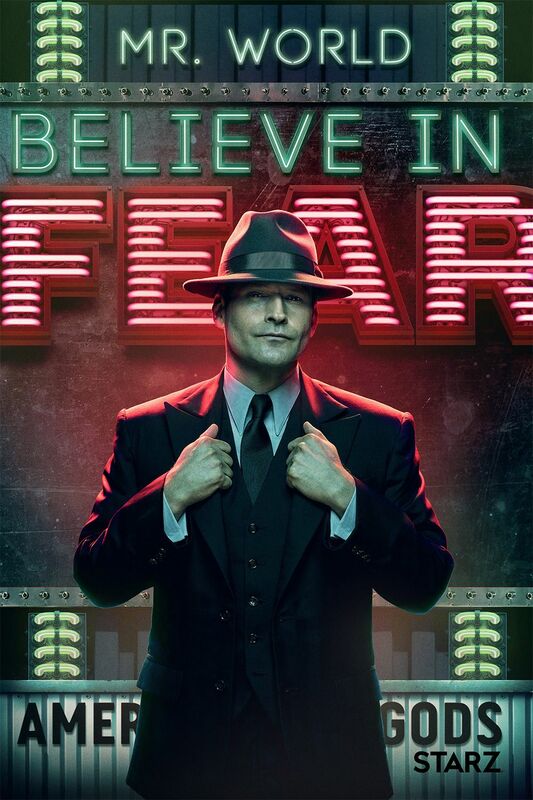 Dean Winters (John Wick), Devery Jacobs (Mohawk Girls) and Kahyun Kim (Shameless) have been cast as Mr. Town, Sam Black Crow and New Media, with Kim taking on the role following Gillian Anderson’s departure from the series last year. 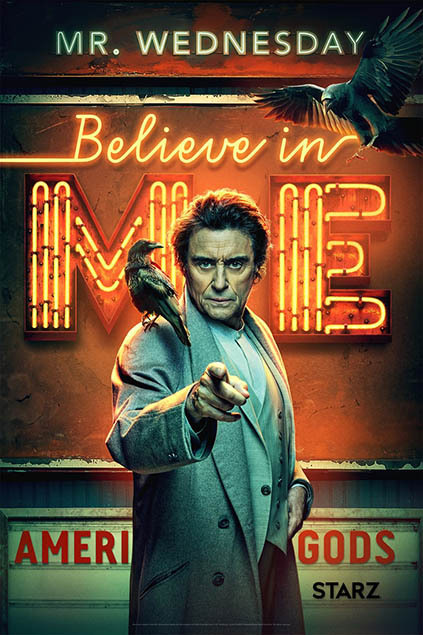 The second season of the acclaimed Neil Gaiman adaptation will see Mr. World (Crispin Glover, Back to the Future) task Mr. Town with tracking down Shadow (Ricky Whittle, The 100) and finding out what he knows about Mr. Wednesday (Ian McShane, Deadwood)’s plan. Town’s methods are brutally efficient and may help him get to the root of his and World’s curious questions. First Nations actress Jacobs will portray Sam Black Crow, a college student that is spiritually cynical for someone, despite claiming to believe in so much. She lives life with fierce confidence and openness, selling the chainsaw art she carves by the roadside for extra money. Kim will take on the recurring role of New Media, the goddess of global content — and in this age, a cyberspace chameleon, who is also a master of manipulation. She will be a new, younger version of the character following Anderson’s portrayal of Media in season one. 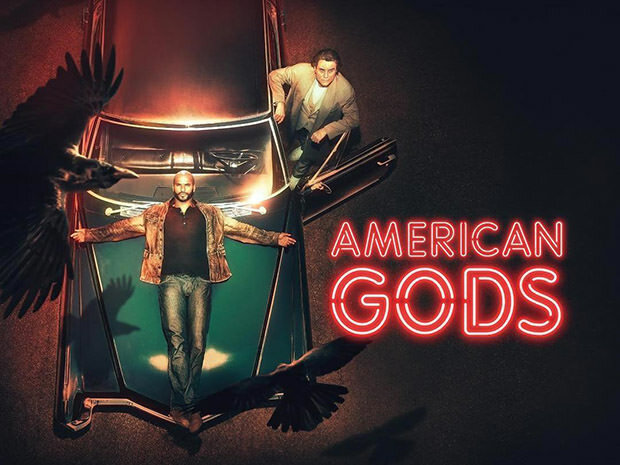 In an interview with TVLine, Emmy Award winning actress Kristin Chenoweth has revealed that she won’t be returning to the upcoming second season of Starz’s critically-acclaimed fantasy drama American Gods. Her decision came following the sudden departure of original co-creator Bryan Fuller, whom Chenoweth is close friends with. Chenoweth played the role of the goddess of spring and resurrection named Easter who appeared in season one’s eighth episode. Before Fuller and Michael Green’s departure, she was originally set to return for several Season 2 episodes. 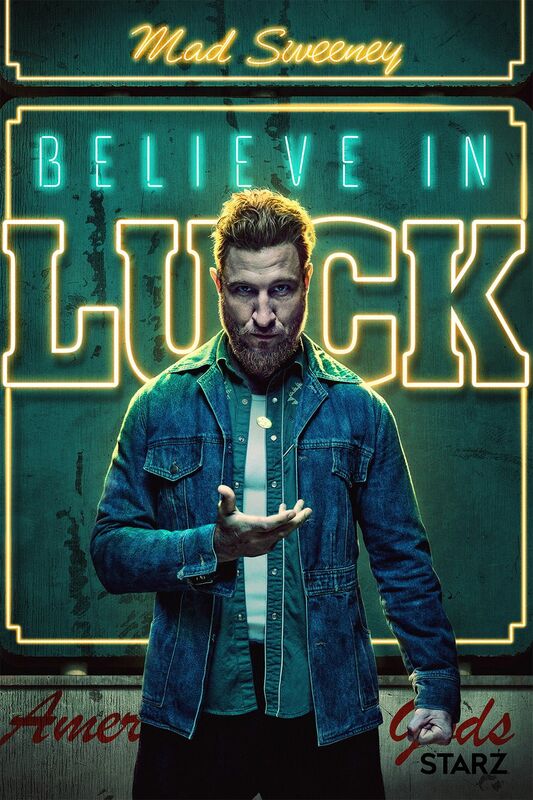 American Gods will be premiering its second season on March 10, 2019. ^ Season 1 Blu-ray has been out since 2017. 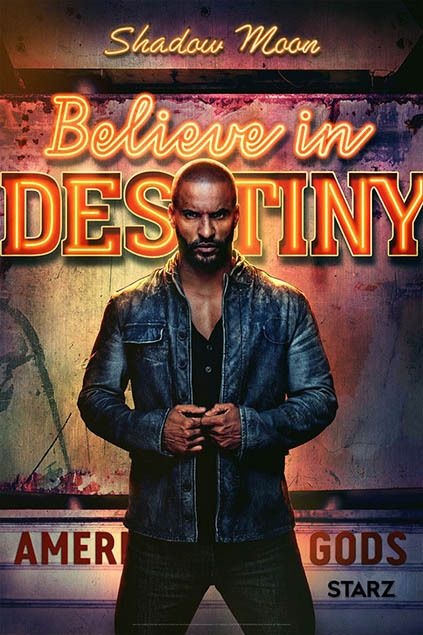 Season 2 will start airing on Starz, March 10, 2019. Episode 5, 6 and 7 is out is this a leak?